One of Richard's cues is currently in the Smithsonian Institute of American History ('98). He was also featured in displays at the Muckenthaler Museum in California ('03) and the National Arts Club in NYC ('99). 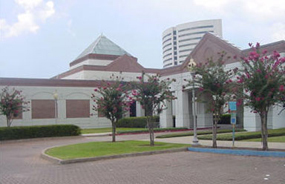 In 2005, Richard was chosen to have a "one man show" at the Art Museum of Southeast Texas (Amset). This was a first for the cuemaking industry. It was considered one of Amset's all time most successful exhibits. 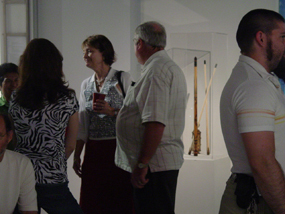 Guests from around the world attended the Opening Night walk-through "Gala". 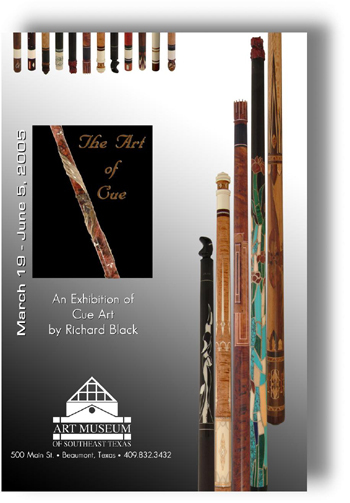 Cue-making as an art form has only developed over the past 20 years, with Richard Black as one of the best in the field. While collectors the world over know all about these wonderful cues, the average person may not know anything about the art form. 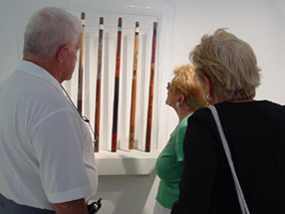 Recently, when a trustee of the Art Museum of South East Texas in Beaumont (AMSET) visited Richard at his workshop, she was amazed at the intricacy and beauty of his cues. This was her first introduction to Cue Art. 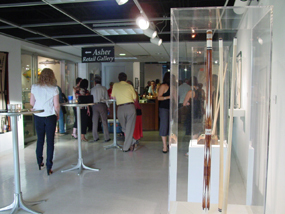 The process was quickly put in motion for a solo exhibition for Richard Black Cues at AMSET to bring Cue Art to the general public. 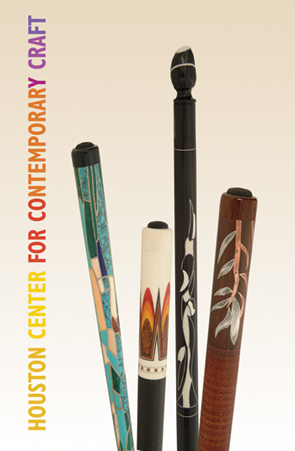 As stated in their mission statement, "...to provide education, inspiration and creative vision to the people of our region through our collections, exhibitions, public programs and outreach in the visual arts," this new type of art needed to be introduced to the world at large! 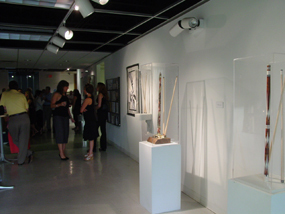 The exhibition will run from March 19, 2005 through June 5, 2005. There will be 40 to 50 cues shown in the main gallery. 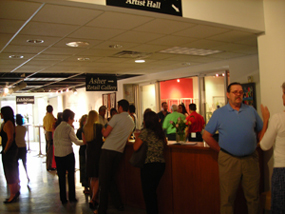 Between 10,000 - 20,000 people are expected to view the show over the three month period. 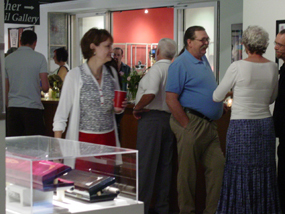 At the opening reception, Richard Black will appear, in person, to give an informal talk about the inspiration and interesting stories connected to many of the cues on display. 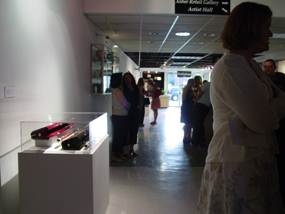 In addition to cues in Richard's personal collection, there will be many previously purchased cues on loan from their collectors across the country. This is an event not to be missed...we hope to see you there! 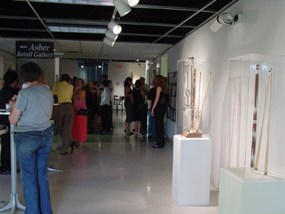 In 2007 he again was featured in the Houston Center for Contemporary Craft.